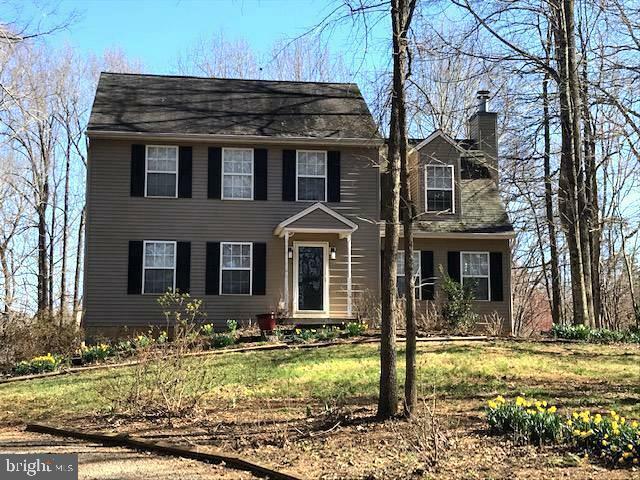 This two-story, hilltop colonial with 4 bedrooms and 2.5 bathrooms is nestled on 3.44 secluded acres in the Village of Jeffersonton in Culpeper County. There is a total living space of 2, 264 square feet. The lot is situated to afford maximum privacy with abundant room for outdoor activities. There are many bulbs and spring plantings as you enter the winding driveway. There is NO HOA! The Seller is offering a home owner warranty policy covering appliances and mechanical systems. The heat pump system features a supplemental wood fired boiler located outside the house that can minimize heating bills. The kitchen has custom cabinetry and stainless steel appliances that conveniently opens to the family room. The interior rooms are freshly painted and new outdoor shutters have just been installed. Dont miss this opportunity to purchase a well-maintained property at an affordable price in a desirable location.